Dubai: Desert Palm maintained their unbeaten record in the prestigious HH President of the UAE Polo Cup with a 14-12 victory over Habtoor as hosts Ghantoot outplayed Zeydan 10-3 for their first victory. Following four days of thrilling matches at the Ghantoot Racing & Polo club, the six participating teams look evenly matched and the race for the semi-finals remains open, with only three matches remaining in the round-robin stage on Saturday. Ali Al Marri, who replaced Yousef Bin Dasmal on the Ghantoot team, grabbed the opportunity to impress fans when scoring five goals, half the number his team pumped in against a lackluster Zeydan. 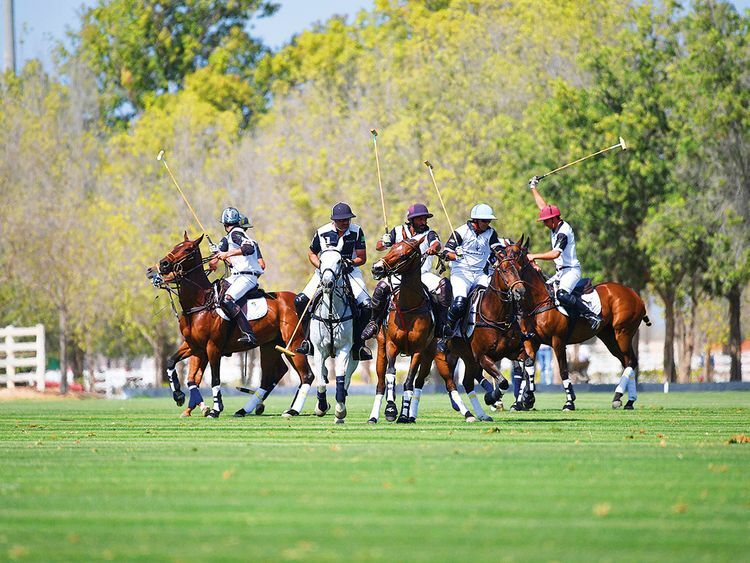 Juan Zavaleta, an eight-goal player, and Martin Donovan (5) offered strong support to keep Zeydan on the backfoot for most of the 35-minute matches, featuring five chukkers. Ghantoot will now need to defeat the strong UAE team of Shaikha Maitha Bint Mohammad Bin Rashid Al Maktoum, in their final league match to book their ticket to next week’s semi-finals. Desert Palm, who are virtually guaranteed a place in the last four of the 18-handicap tournament, meet Zeydan, who will also looking to pull of a win.